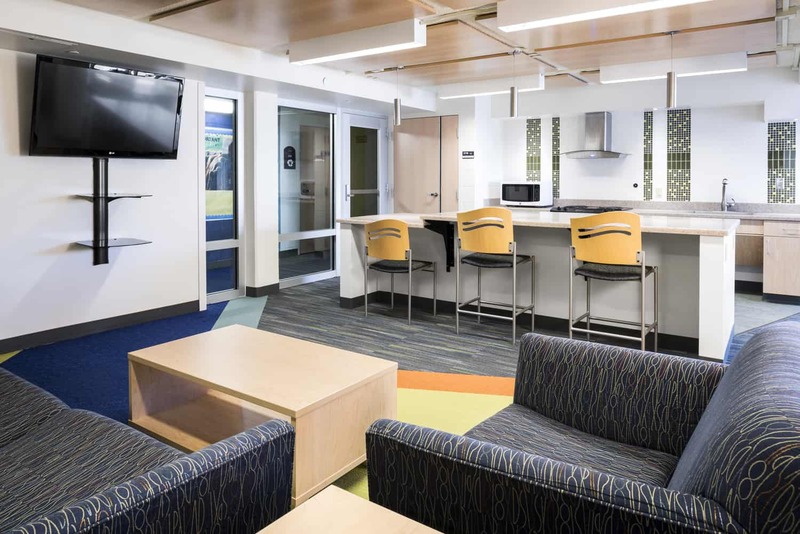 A complete renovation and small addition to McCalmont Residence Hall, originally built in 1963, provided a new face for the South Campus residence hall and established and reinforced an interior design standard for future residence hall renovations at the UW-Stout campus. 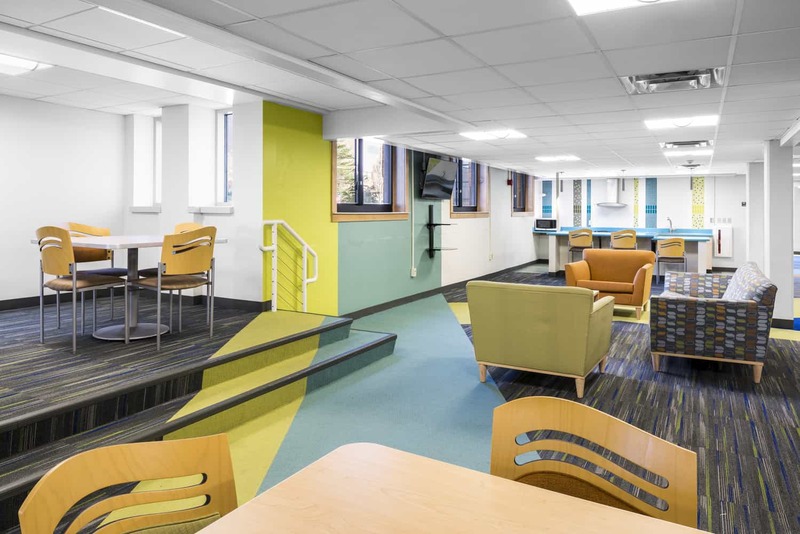 McCalmont Hall defines a new north face for the South Campus residence halls while complementing the BWBR-designed Jarvis Science Wing, located just a block away. 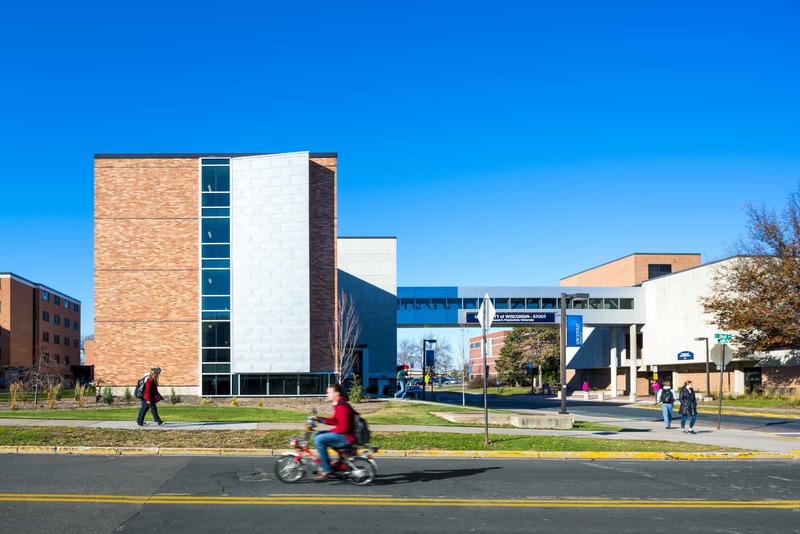 The new exterior features a five-story corner glass wall by the entrance, glass columns at the ends of the hallways, and five-story silver embellishments on the east and west walls. 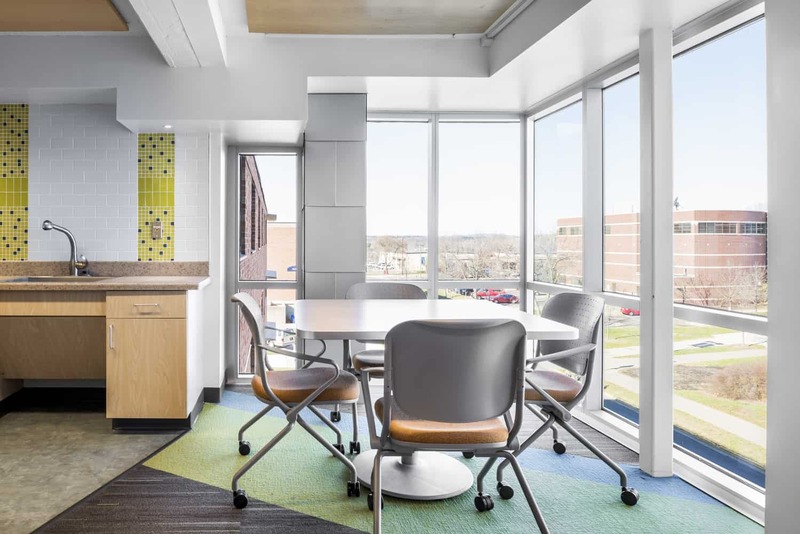 A wrap-around window was added to the northeast corner foundation, enhancing the building’s openness and bringing natural light into the basement. 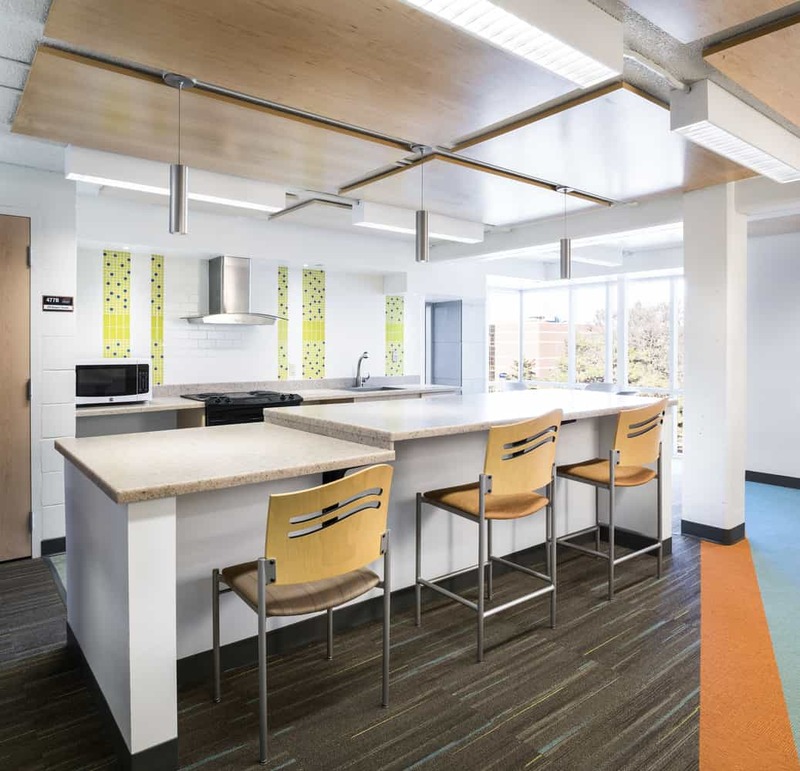 Inside, a student room on each floor was transformed into student lounges to create more windows, seating and gathering spaces, and full kitchens. 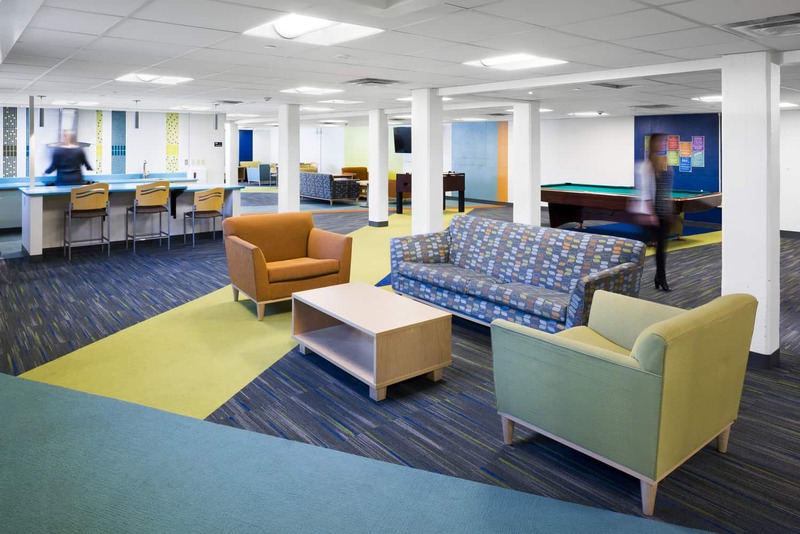 A lounge nicknamed the “Fishbowl” which connects McCalmont to Antrim-Froggat Hall was remodeled, along with the hall director’s apartment in Antrim Hall. 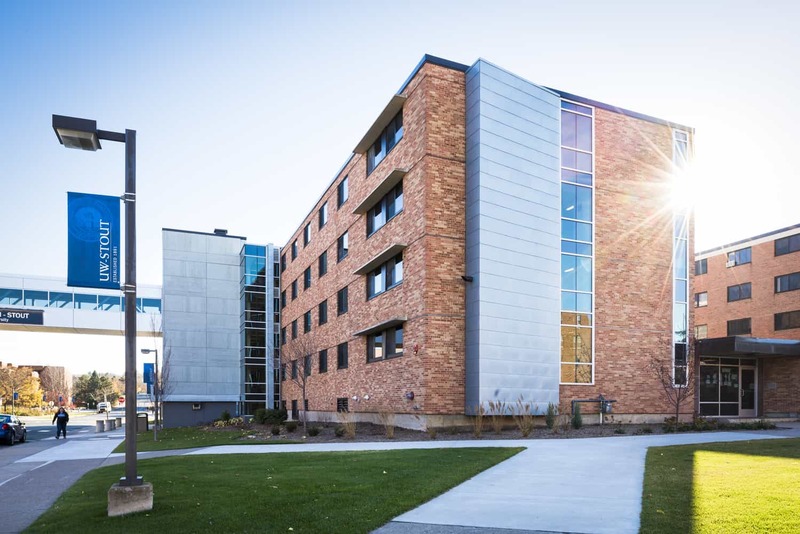 The project was also the first UW-Stout residential hall to connect to the campus district chilled water distribution system. 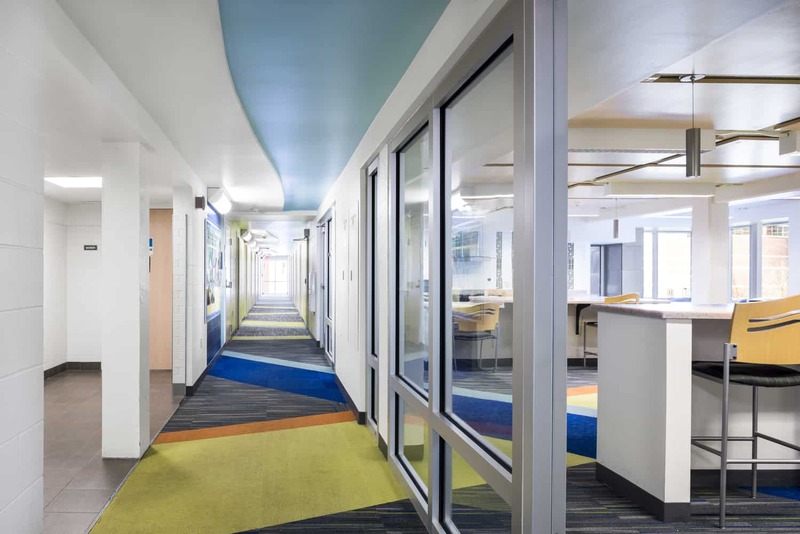 Replacement of nearly all infrastructure systems included conversion of a two-pipe mechanical system to a four-pipe system to accommodate the addition of air conditioning. Size: 47,285 gross sq. ft.